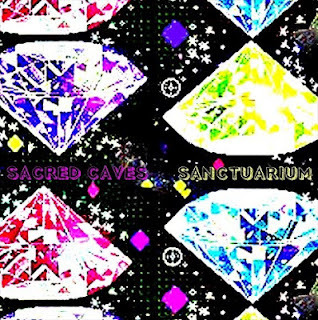 This is the sound of Sacred Caves. It's simple, but not simplistic, vast, but not overwhelming, electro, but electro. It is electro. Pure and lovely. Like a pot of jam, it's the kind of thing you'll keep and use occasionally. The song is called 'On The Outside'. Its success lies in its catchy bass melody, which is absolutely unchanging throughout. In the chorus parts, where a gloriously understated voice calls from what feels like a thousand miles away, sharp synth rises up like shark fins piercing a placid sea. They do nothing more than that, however. But then again, sometimes seeing the whole shark is a bit too much, don't you think? Overall, though, the sound - with its full-bodied beats and psychic phantom harmonies - is fresh like a mint julep, and is a promising little taster that comes from their forthcoming EP, Sanctuarium, out July 31st (hausKat records). 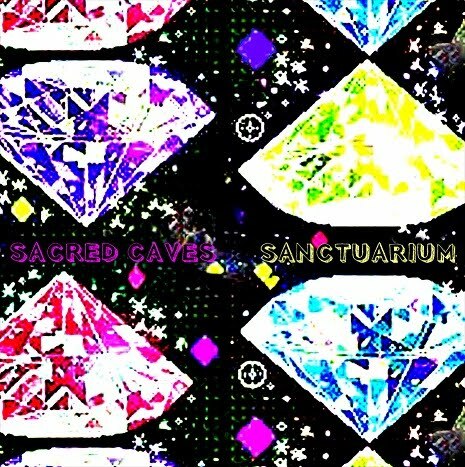 Sacred Caves comes from the minds and souls of Greg Bertens and Nyles Lannon.